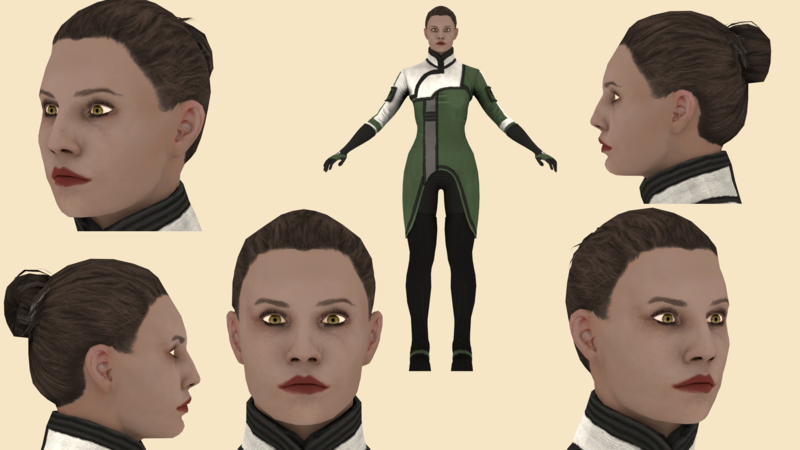 After Commander Bailey, next Mass Effect Human NPC to join the collection is Agent Gianna Parasini from Mass Effect 2. And she wears Liara outfit because I was too lazy to work on the textures. But I’m pretty sure you can find the right color schemes for her on devianart. 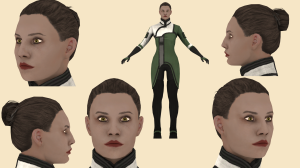 She is on layer 1 and comes with basic shaders.